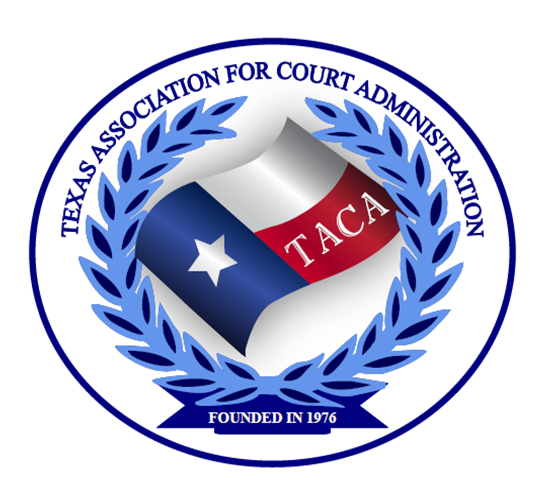 In accordance with the By-laws, TACA awards scholarships to its membership in an effort to continue the tradition of promoting education within the courts of the State of Texas. The Judge Paul Ferguson Scholarship is $750.00, and it shall be used for any ICM, NACM, JMI or similar workshop approved by the Board. The Jack Dillard Scholarship is $750.00, and it shall be used for any ICM, NACM, JMI or similar workshop approved by the Board. The Judge Larry J. Gist Scholarship is an award of $1,500.00, to be used solely for ICM's Court Executive Development Program. The Chief Justice Scholarship is a $2,000.00 award to be used solely for Phase Two of ICM’s Court Executive Development Program. Three scholarships in honor of founding members Martin Allen, Bob Wessels and longtime TACA supporter Trisha Hall were established in 1996 to commemorate TACA’s 20th anniversary. Founders Scholarships shall be used to attend the TACA Annual Education Conference. TACA will waive the conference registration fee. In 2004, TACA members began a fund-raising effort that now supports Goodwill Scholarships established to assist fellow members with the costs of attending the TACA Annual Education Conference. These scholarships are funded from monies outside of the TACA budget and are available based on fund-raising from year to year. Goodwill Scholarships shall be used to attend the TACA Annual Education Conference. TACA will waive the conference registration fee.